Overweight is one of the big health problems of our time. Cardiovascular diseases, diabetes, joint disorders, and many other widespread civilization diseases can be attributed to obesity. DDr. Heinrich has developed a therapy concept for weight loss that helps you to reach your ideal weight and your desired figure. I lost 10 kilos in six weeks with the weight loss therapy and I now feel much better and more fit than before. The most recent tests also showed that my cholesterol level had improved. Significant main causes of obesity are poor eating habits and lack of exercise. The menu of those concerned too often contains fast food, ready meals, prepacked desserts, sweets, soft drinks, and alcohol. Furthermore, sedentary activities in front of the TV or computer instead of practicing recreational sports dominate their leisure time. Genetic predisposition increases the susceptibility to be overweight and psychological factors make it more difficult to interrupt the “cycle of reward” that leads to overeating. In almost all cases of obesity a hormonal imbalance is present as well; this should be diagnosed and treated prior to weight loss. The therapy and treatment plan are tailored to the specific situation and life circumstances of the person affected. To allow for a treatment in accordance with the patient’s specific needs, the first step includes the assessment of the current state of health as well as lifestyle and eating habits. This information provides the basis for a customized therapy program. The treatment plan may range from dietary measures and changes of lifestyle habits to an extensive treatment with medication. Very often particularly extensive or stubborn, diet-resistant fat pads have developed at certain body regions (e.g., belly, waist) over the years. For a targeted size reduction in these areas liposuction can be recommendable as preliminary measure prior to the actual weight loss. The liposuction should be performed before the actual weight loss because the removal of tissue allows for better shrinkage of the skin prestreched by overweight. Thus the risk of the development of sagging skin pockets is avoided. 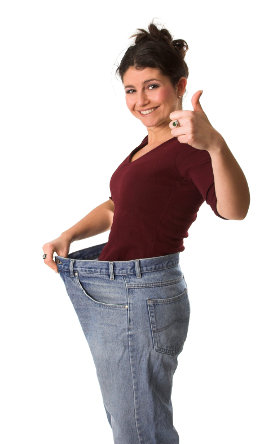 The patient’s commitment is important for the success of medically-assisted weight loss therapies. If you follow our recommendations and inform us about your success and failure honestly, you can not only reach your ideal weight but commonly also hold it over the long term. The therapy usually takes a few months, prolongations are possible. There are special therapy programs for certain therapy goals. We are specialized in treating adult patients, children and minors are usually referred to medical colleagues specialized on the treatment of these age groups.